I have a Bachelor's Degree in Music Education from the University Of Regina in Canada. I studied Jazz performance with Pat Labarbera at Humber College in Toronto for 2 years. I have been a professional saxophonist, music educator, and arranger for over 12 years in Canada, UK, the Netherlands and all over the world aboard cruise ships. I have lived in the UK for two and a half years and have performed at the National Theatre in London, The Royal Albert Hall, The Bull's Head (London) and countless other other venues with a wide array of musicians in a wide array of styles. 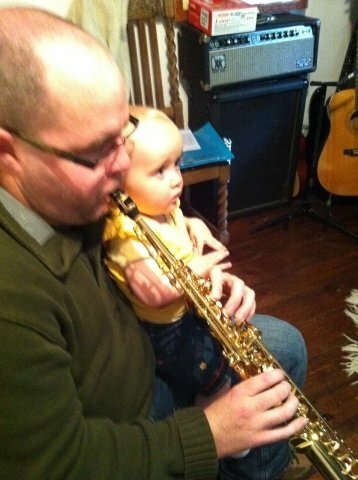 I have taught saxophone, flute, clarinet and music theory in Toronto and Regina in Canada and London and Somerset in the UK, both privately and in the classroom for over 12 years. Approach is tailored to each student, depending on their specific goals. Generally, plenty of playing. I will demonstrate, we will play duets, discuss different ways to practice specific material, play along to backing tracks when appropriate, learn fundamentals through notation and by ear. We will also listen to related recordings.